Description: Starship Pack includes Neptune (1061, 1032, 1033), Judge (1081), Leviatator (1003). 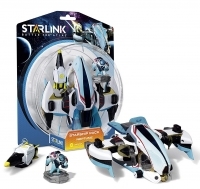 Compatible with PS4, Switch, XBOX ONE version of Starlink: Battle For Atlas game. 01-16-2019 mastafafik Description Starship Pack includes Neptune (1061, 1032, 1033), Judge (1081), Leviatator (1003). 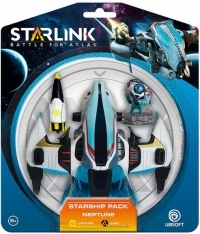 Compatible with PS4, Switch, XBOX ONE version of Starlink: Battle For Atlas game. This is a list of VGCollect users who have Neptune - Starlink: Battle For Atlas Starship Pack [EU] in their Collection. This is a list of VGCollect users who have Neptune - Starlink: Battle For Atlas Starship Pack [EU] in their Sell List. This is a list of VGCollect users who have Neptune - Starlink: Battle For Atlas Starship Pack [EU] in their Wish List.